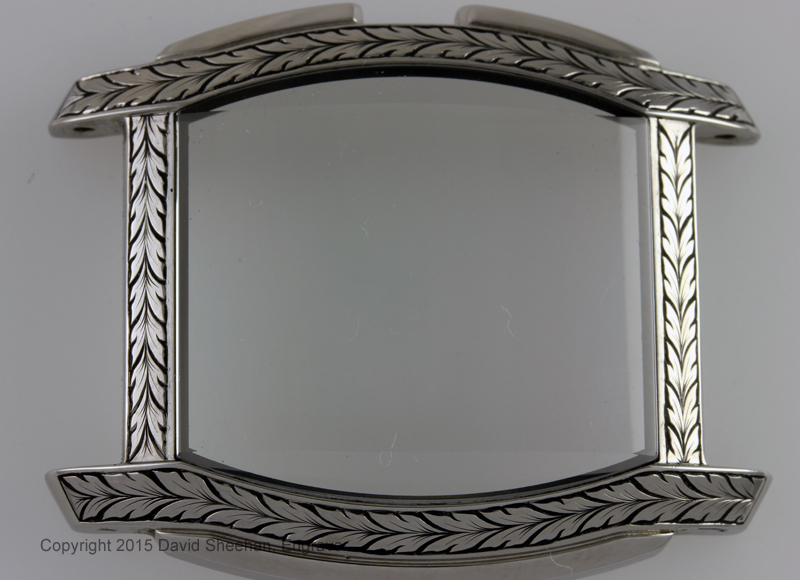 On this rectangular shaped watch I decided to use a double running leaf design around the watch face. 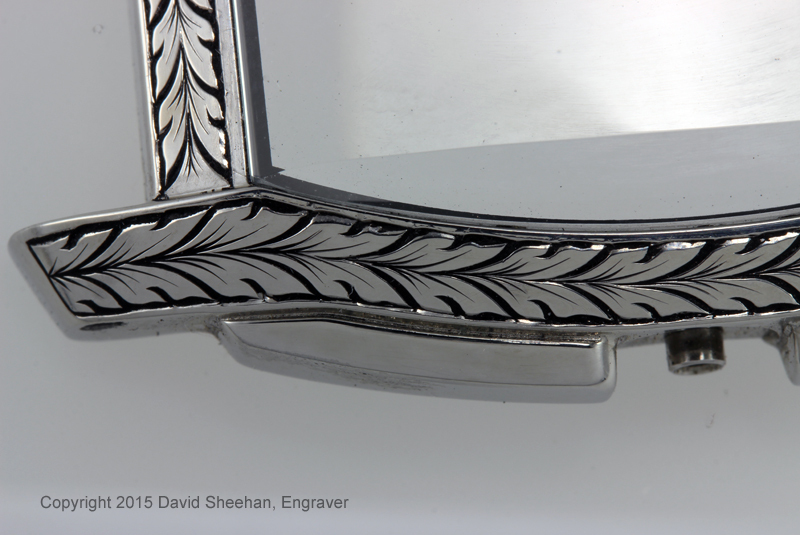 Each leaf is deeply hand engraved with great care and then shaded to add realism to the leaves. 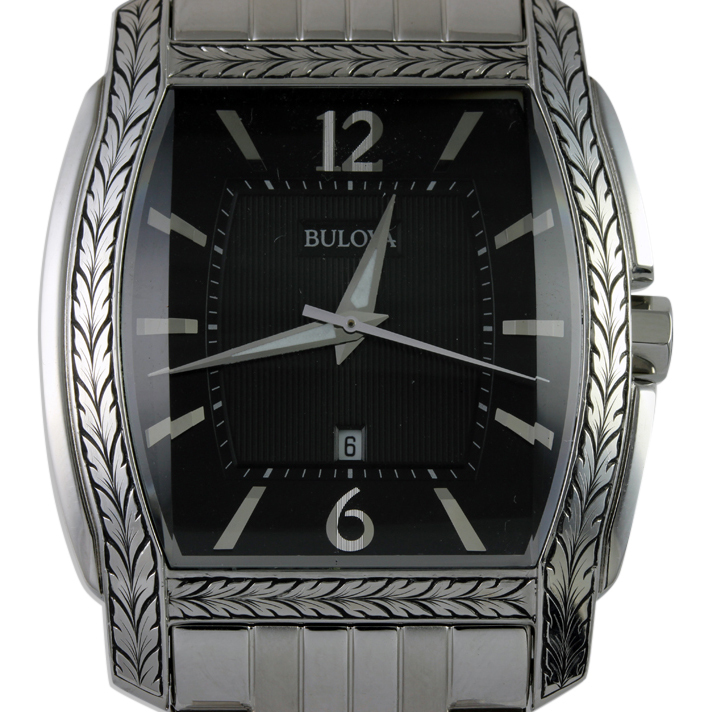 It is a simple but I think very elegant look for this nice Bulova watch. 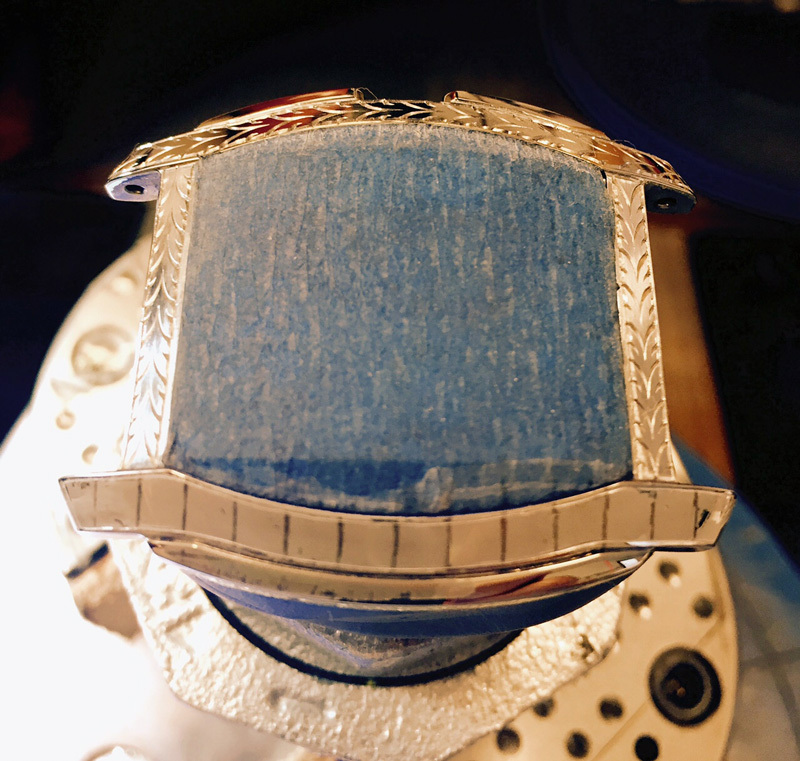 Below are a few pictures showing some detail and some of the hand engraving process.